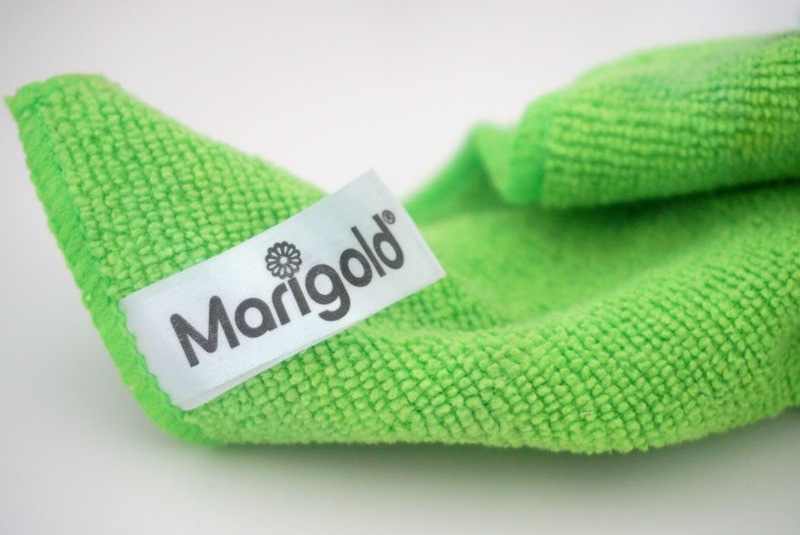 My Tips For Keeping On Top Of Housework With Kids and Celebrating Marigold's 70th Birthday! I know routines can be quite boring. But it really does help. If you try and make time on the same day each week to do a particular room in the house is a huge help for keeping on top your housework. For example, I clean my bathroom every Monday and Friday morning, sometimes in between those days if it needs doing. Having set days will really help you keep on top of things. Our start of the week is Monday. That's the day I do a lot of housework. I tend to do it in the morning after the school run and while Freddie is having his breakfast. I'm quite lucky that Freddie will sit in his highchair quite happily for at least half an hour or so. This means I can get quite a lot done. Getting things done at the start of your week can really help you by making you feel better and preparing for the rest of the week. This is much easier than having one box in each room. Having one laundry basket will help you know when a wash needs to be put on. Although, with kids, the laundry is never done (most of the time) but putting at least one or two washes on a day will make things a lot easier for you. There's nothing worse that going to clean the toilet and there are no rubber gloves there (unless you don't mind cleaning the toilet with no gloves). I always need gloves when I'm cleaning the whole bathroom. 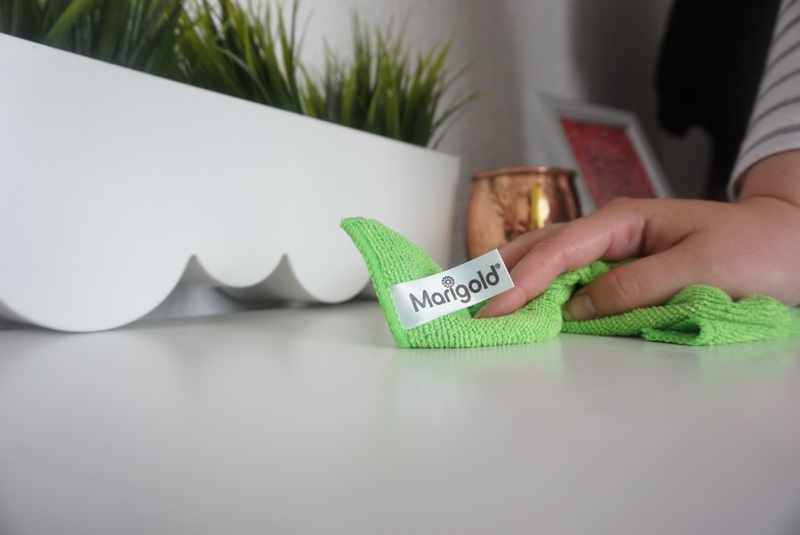 Marigold have all the products you need to keep your house squeaky clean. I know, I know! The first thing we want to do when the kids are in bed is to just chill. But making sure everywhere is clean and tidy before you chill will make you feel more relaxed. Making sure all the toys are kept away, dishes are done, floors are clean, will make you ready for the brand new day the following day. If your kids are old enough, get them into the routine of making sure they keep their own toys every single day before they go to bed. This will be a good habit for them as they grow older too. As well as keeping their own toys, depending on their age, they could help with other house chores too such as the dishes, hoovering, doing the laundry and keeping clothes (maybe). Anything helps. To encourage you could make a point or reward chart. Even if we do keep on top of the housework, we can all still get a lot of clutter. Most of the time, we don't even realise how much clutter we have. Making sure you sort out the clutter every few months really helps. If the clutter isn't something, you can throw away, storing it by using the right storage can help too. It's not easy keeping on top of the housework and looking after kids too, but we all seem to manage in our own way. Having kids makes housework ten times harder and challenging. Even if you try and have a daily routine with the housework, you need to be prepared for unexpected things such as when kids go ill or play up which means you will probably have very little time to finish any housework that day. But just taking it day by day and trying to have set days for a little routine, can be a huge help. Let It Shine Cloths - This 4 pack of colourful microfibre cloths are perfect for a quick dusting. As well as dusting, these clothes are great for removing grease and dirt too. They are super thick and machine washable. I've been overly pleased with these items, and I have one in my dining room, living room, my bedroom and the kids' bedroom too. You can use these when they're dry or wet. Sensitive Gloves - As said above, I always use gloves when I clean the bathroom. These Latex-Free sensitive gloves are super strong and suitable for people who suffer allergies. They're perfect sizing, with no water being able to get in, and cotton material inside which make them comfortable to wear too. Oops Away Cloths - These soft and pink cloths are brilliant for wiping wet surfaces, as well as cleaning dirt. They come in a six pack and are lightweight. They are perfect for wiping surfaces that are wet and are aimed to dry surfaces quickly. No More Elbow Grease - This product is my most favourite out of them all. It's perfect for cleaning tough stains. It's extremely hard wearing and lasts as long as 5 traditional spiral scourers. With it being flat and flexible it is perfect for getting into those tough places. * We were given products free of charge in return for an honest review. All words, images, and opinions are my own.